Common Critters That Invade Homes - Beneficial Roofing | VOTED BEST Roofing Company, Call Us Today & See Why! Homes often tell you when there is a problem with sounds. You can here a home’s pipes calling for maintenance or repair, walls and foundation settling, and where air is escaping in or out. But the most common sound heard in a home that needs your attention is the sounds that critters make when they are making your home THEIR home. You can annually inspect your attic, walls, ceiling gaps, crawlspaces, and other places critters love to live. Look for obvious signs of homing such as damage or odor. And always listen for the distinctive noises nesting critters make; moving, scratching, thumps, and scurries of tiny feet. If you do discover you have an animal infestation, it’s not the end of the world and fairly easy to take care of. 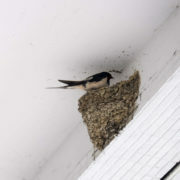 This article will outline some of the most common animals that nest in homes and how to go about evicting them! 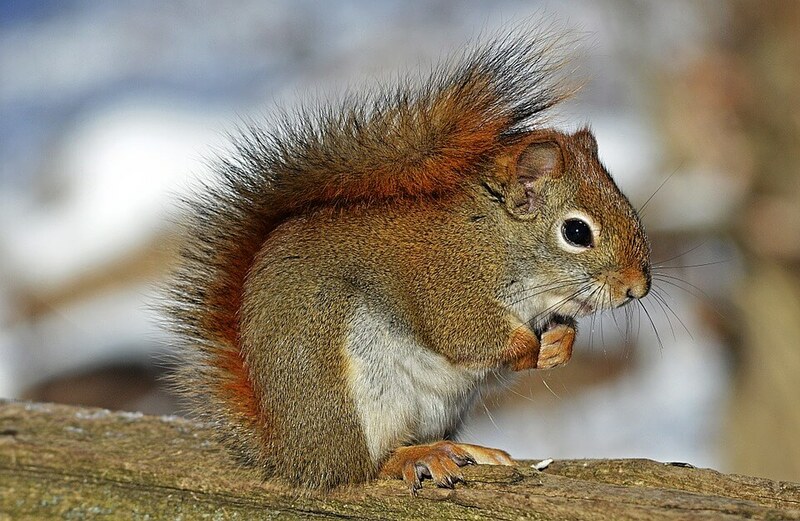 If you are hearing sounds in your home during the day time, it’s highly likely that there are squirrels utilizing your home, too! These pests are crafty, too. They are able to penetrate your ceiling, walls, soffits, and eaves super easily. They sound like fast, scurrying noises as they run about early in the morning and again, in the early evening before the sun sets. Sometimes squirrels sound like Raccoons in the home. The distinction will be that Raccoons also make noise at night, but are heavier and slower. Raccoons and Possums also make chattering, voice-like noises. Most other common home dwelling animals will not make any vocalizations at all. If your Raccoon infestation is especially loud, you might have baby Raccoons on your hands. Raccoons can also facilitate thumping noises during the night. Bats typically make high pitched chirping noises, but it’s very unlikely to be heard by a human ear, so the best way to detect whether you have bats or not is by other means. Bats leave droppings at entrances and exits, and will, like other animals make scratching noises. They also have greasy coats that tend to leave stains around your home. You might even spot one in or outside your home! If the sounds are light, but fast and at night, you likely have a rat or mice infestation. Sometimes, depending on your home’s layout and accoustics, a mice infestation can make louder noises than you’d suspect, but if they are fast movements, the sound is distinctly from rodents and no other creature. Because of the significant damage that animals are capable of and the threat posed to your health, you’ll want to take care of these home invaders as quickly as possible. Once they’ve made your home theirs, they will not want to leave for a long time, so do not put it off- even if in the dead of winter. Call a professional home inspector or animal control specialist if you still need the animal identified. Usually you’ll never be able to catch the animal with your eyes because they are so great at hiding, but a professional will know right away based solely on its scent, droppings, and possible tracks. Next, you will need to employ a professional to kick the animals out of your home for good. Together, you can do this by trapping them or exclusion techniques such as baiting them to leave through a one-way door and then sealing up any openings so they can’t return again. There are products for animal eviction, but often times they fall short of completely ridding you of your new tenants. It’s most efficient to hire a professional. They will also be aware of any wildlife that is protected in your region so that you are not harming an endangered or at-risk species.